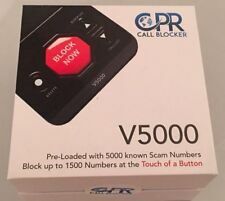 CPR Call Blocker - World #1 Call Blocker - 1200 Number Capacity - Block Now! Block All PPI Calls, Political Calls, Scam Calls Now! Condition is lightly used, excellent. Nice bright large display. Be sure to check out the picture. Don’t let this one get away. Bluetooth Phone Adapter for Landlines - Hands-free - Answer Calls Anywhere! Now you can enjoy crystal clear wireless convenience of hands-free communication with this gadget, and answer calls more freely. This convenient device will allow you to complete task such as cleaning, cooking, or babysitting, all while taking calls from relatives, friends or your co-workers. 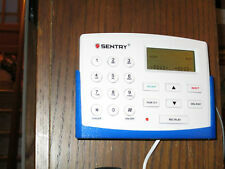 SENTRY V2.0 Dual Mode Call Blocker Block 100% Robo Calls Stop All Junk Calls. 100% new and unused in an open box Shipped with USPS First Class Package. Nice unit looks good. See all pics. Same day shipping! Minor scuffs to box and scratches to unit. Unit has a hum when in use. Tested with the power cord it and worked well. The panel can display Spanish, French, or English titles. • The item is in preowned, working condition. • Model: 2-9016C. New Caller ID Radio Shack 64 Memory Three Line Display Vintage CID 944. Condition is New. I opened the box to show all parts are still packed as new and sealed. Shipped FREE with USPS Priority Mail. New condition. Tested, and ready Removed from package. 2 wires come with blocked for connecting. Olympia Info Globe Digital Caller ID OL3000LP - Orange New Open Box. Condition is New. Shipped with USPS Priority Mail. Bell South Caller ID CI-43 With Call Waiting System 40 Caller ID Memory Clean! You will receive the item pictured, looks excellent, works 100%, includes instructions as well as a phone cord. CPR V202 Call Blocker Blocks Robocalls Political Calls Scam Calls . Condition is Used. Shipped with USPS First Class Package. Preowned and in good condition. Whozz Calling?. This is a serial port unit. New T- LOCK CALL BLOCKER Version 5. This online search tool will help you identify phone numbers linked to scams & frauds. Learn more. There are 3 versions available for the T-Lock Call Blocker Model CT-CID-803, as explained here. The manual and quick start guide are included. Excellent CLEAN USED Condition as seen in the photos. Everything is in working order. Telemarketer Call Blocking System - As Seen on TV - NEW sealed item. Condition is New. Shipped with USPS Priority Mail. Olympia Info Globe Blue Digital Caller ID with Real-Time Clock Model OL3000. Condition is Used—in good condition with little wear. Plugs in and powers up just fine. Comes with box, globe, power cord, and instructions printed from the internet. You can also look up the complete manual online for more information. Ships FREE to US. Jumbo Backlit Display. Can hang on wall or sit on desk. 3 Language Operation (English, Spanish, French). That is the actual item you will receive. Uses 4 AAA Batteries NOT Included. Convert DTMF / ETSI FSK To Bellcore FSK. This is about one adapter only. 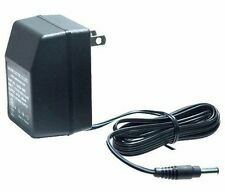 One adapter. Line powered, no battery is needed. Color: As picture. Material: PVC. Flash button. - Easy to read 3 line lcd display. - Total call and new call counters. White List Call Blocker | Block All Calls | Worlds #1! T-Lock Call Blocker. Block unwanted calls. Opened to check contents but otherwise unused and boxed. Includes T-Lock Call Blocker device with LCD display, telephone cord, wall / desktop bracket and user manual. With easy set up - just plug in and start blocking calls. Neues AngebotBellSouth Caller ID & Call Waiting Model CI-77 75 Caller ID Memory New! SAIET ID VOICE. CON IL TASTO DEL TUO MOUSE OPPURE ANCHE FUORI dai NORMALI ORARI di LAVORO. SPEDITO CON SCONTRINO FISCALE. – INDICAZIONE SU DISPLAY BATTERIE SCARICHE. – INSTALLAZIONE A TAVOLO ( NO MURO ). Direction sheet is NOT included. Pre owned - Unused.